Personal Computer architecture became an industry standard. 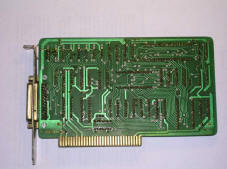 Since 1980s PCs became more andmore popular and their applications became wider and wider. Many applications required special expansions - to acquire data into a system, to interface with other devices or to add features not present in typical PC. 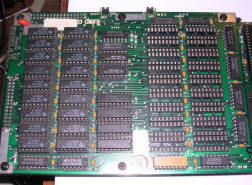 Here are some of these boards shown. 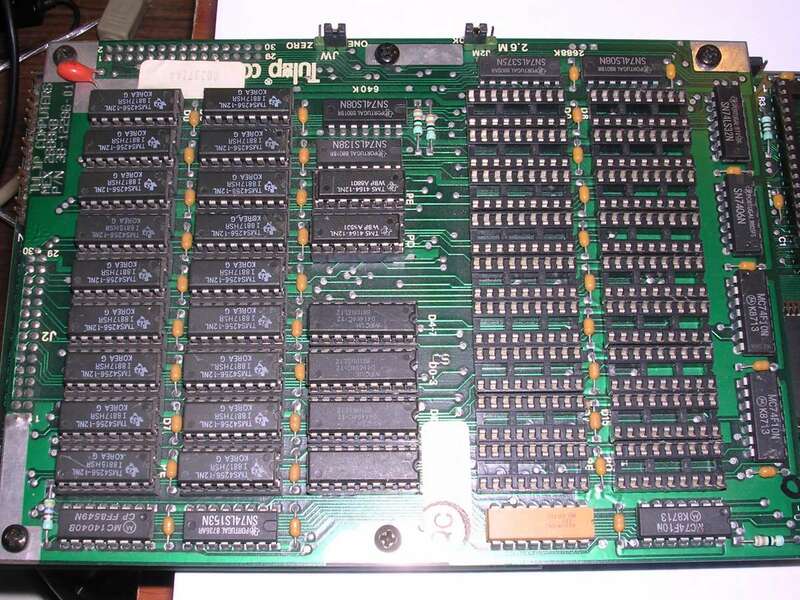 I don't know what most of these boards are exactly for and I'm still looking for information about them. My suspicions from analyzing of circuit are shown below. 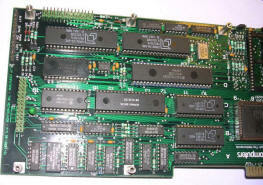 This is a simple thing, a board offers digital I/O into the system bus. This I/O was used probably by some early uninterruptible power supply (UPS) unit to notify the computer that there was a power failure and battery level is low. The software probably then ordered computer to save data and power off. It has 4 DIP switches for configuration, a 6-pin mini-DIN connector probably for UPS and a 3-wire 3.5mm jack. The manufacturer is probably APC (look for newer Back-UPS), in late 1980s it was APCC. 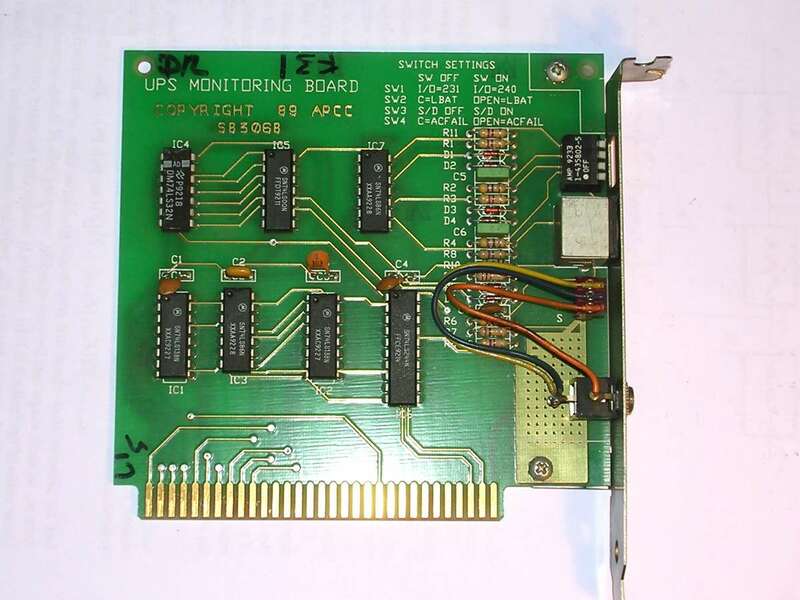 However, I still don't know what type of UPS was used with this board and what capabilities were offered by software. Harpo is a Polish company which makes different accessibility-related computer accessories. Keyboards with specialized key arrangements, small pointing devices to move cursor with one finger, or software speech synthesizers. This way disabled people can use computers much easier. And that's all I know. 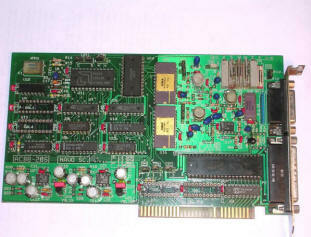 This 16-bit ISA board has been made by Harpo in mid-1990s. It has TTL logic, jumper block and a complete acoustic amplifier on a bit crudely-mounted heatsink, as well as unpopulated space for 3.5mm-Jack socket. Instead, on the other side of the board, a 2-pin "Goldpin" connector is soldered through resistor, probably to use PC speaker as output. Electrolytic capacitors are used to filter 12 digital inputs driving optocouplers and in their connector there is no ground or power. 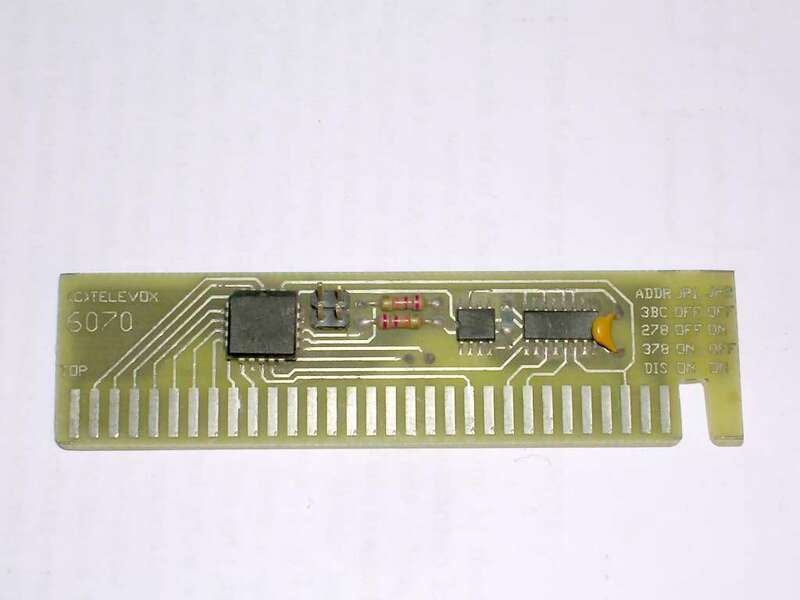 Another important chip is a PCF8200P circuit, which is a synthesizer chip used to generate audio signal of speech parts. This way, with consistent stream of data it is possible to generate speech. 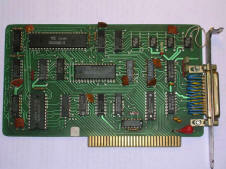 The technology which was used to make this board is not advanced - it rather looks like a prototype. 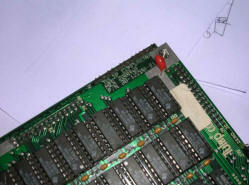 There are numerous connections made with wires on both sides of board, some chips are skipped and "patched" with wires. 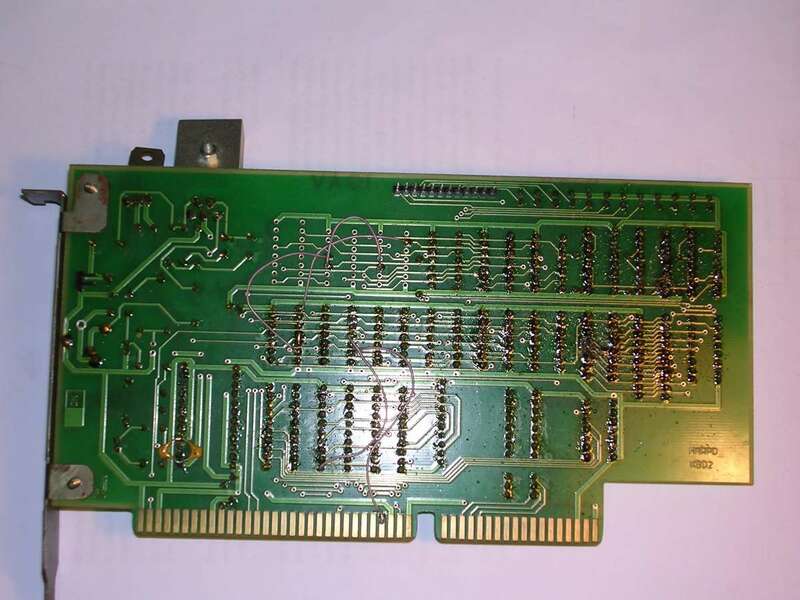 The board has not been washed after soldering and the soldering looks like it was done by hand. I guess this board has been some product, maybe testing one, maybe a small series, to make computer speak. The software for it has been probably totally lost. Another unknown. The manufacturer - NAVO, is also unknown, there were at least a dozen NAVO companies in Poland since 1980s registered and probably more not registered. 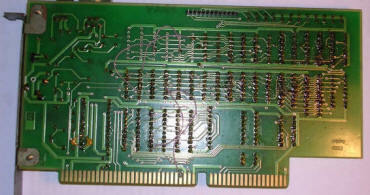 This board has been made in late 1980s or early 90s, most chips are from 1988-89. There is a 8253 programmable timer as well as Soviet K155IR17 ADC approximation registers. There are also two MDAC566 12-bit digital-to-analog converters. 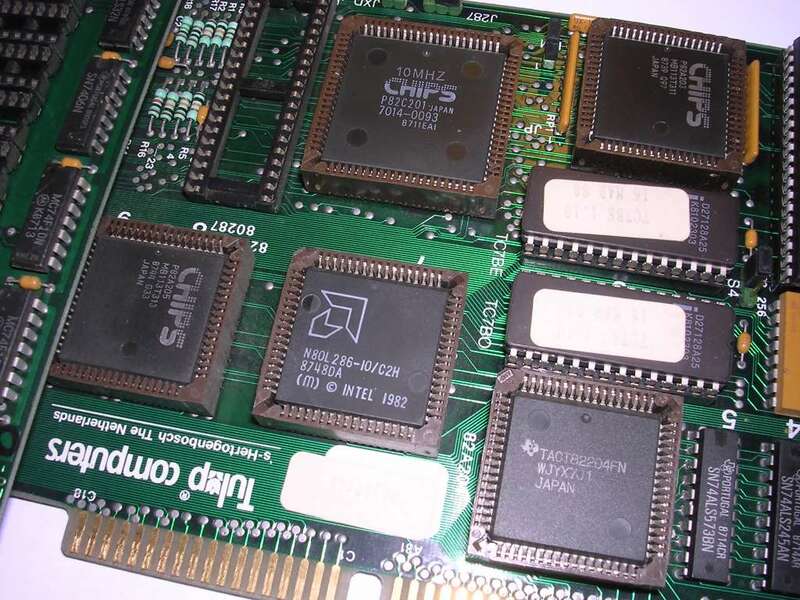 8255 chip expands ports to control all of it. The analog I/O stage is well designed with range regulation using multi-turn trimmers. Unfortunately when I got it it was already stripped of the most important GAL chips with logic which decides what this board does and how. Probably it was some measurement/control board for industrial or lab system. I got this board as "spare parts source", but I kept it to show how a well-protected electronics looks like. 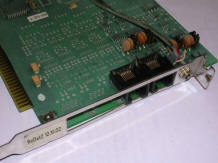 These boards are used in larger telecommunication systems to redirect, record or intercept communication. In dispatch systems these boards can record all calls happening simultaneously on phone line and classify them to dispatch terminals. Similar solutions are used in air traffic control or military equipment. This is a critical-security component which needs to maintain proper operation all time. This particular board is probably from 2002, made by Czech company Redat. It was used to record 2 input phone lines to dispatch system - all calls at once. However, there were versions of this board for 4 lines too. Let's look how this board is made. There are almost no through-hole components. The input stage is a set of SMD filters and amplifiers. Next, we have a small chip, probably separator. The logic is implemented using single XILINX chip and the other square chip is probably an ADC or expander. Converted signals can then be recorded on a PC. 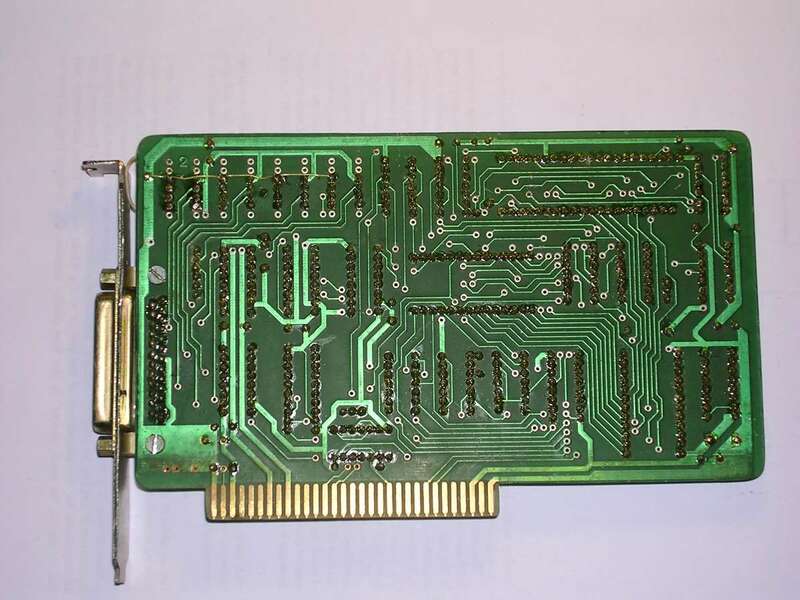 Because this board must work all time, it is protected a specific way - a whole board except connectors and jumpers is painted with a thick and hard enamel. It makes fixing of such board harder, but it also prevents external conditions from damaging components and by bounding them to PCB makes solder cracks less probable. Compare this to Polish telephone dispatch system. 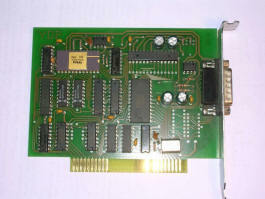 The manufacturer of this board still offers security systems as Retia. According to text on board's surface, this one has been made by PPZ SWEDEX, a Polish-foreign joint venture which was a popular form by the end of 1980s in Poland... and was the only way to purchase larger amounts of western components. Such company has been indeed registered in 1985 and existed probably until 1994 as Swedex Universal. They were making computer and telecommunication electronics, also modems. 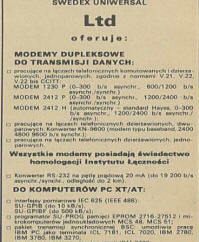 According to the partially available article the first Polish modem made independently was 1200-baud unit called 1230P made by "Swedex Universal" with cooperation with Swedish company TGC AB. On board, we have 8255 parallel I/O, 8251 serial driver and 8253 probably as timebase generator for port driver. 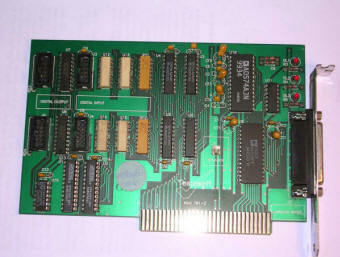 There are also 4 dual RS232 line drivers. 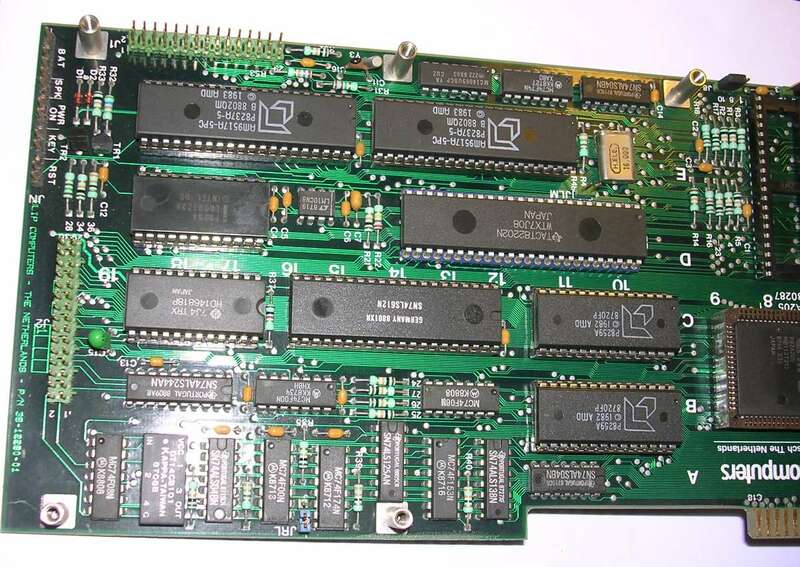 It indeed can be a 4-channel multiplexed multi-RS232 board, but its DB25 connector has some ordinary digital lines put too. Part date codes allow to approximate its manufacturing date to 1987-88. It has been finally figured out. The operation of this board probably requires special software. Click on thumbnail for full advertisement. Televox is a Polish company, they make software for PoS, administrative tasks, maintenance of communication systems and some shop/accounting software. This is probably a hardware dongle which pops in the system as a ROM region in memory. Usually their hardware locks were based on parallel port, and this one is something extraordinary. 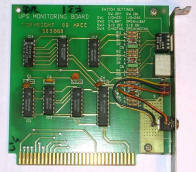 Probably this is some measurement/control system board. 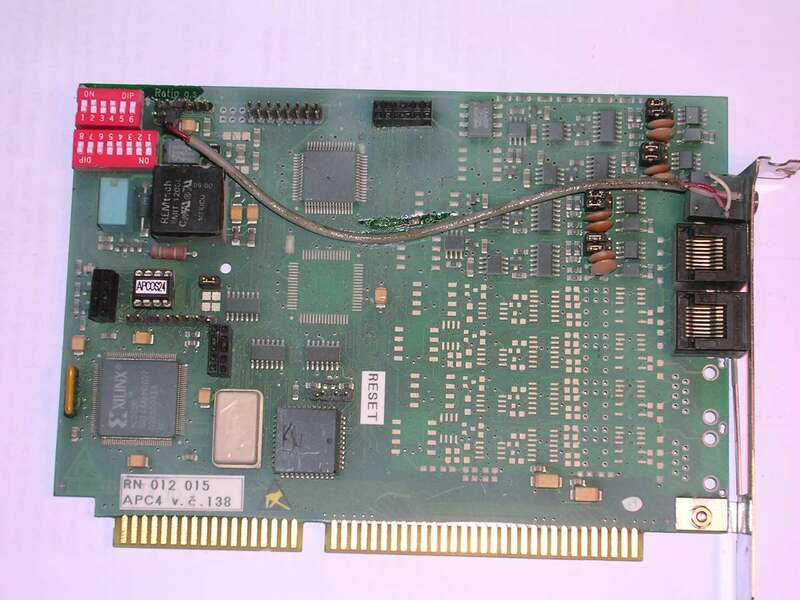 The board has been made around 1999, when many PCs lost ISA slots, so it is probably a part of some bigger system with dedicated PC. Although there was some company called "Testosoft" which recently (2016) closed its website, it was probably not this one as they were purely into software. 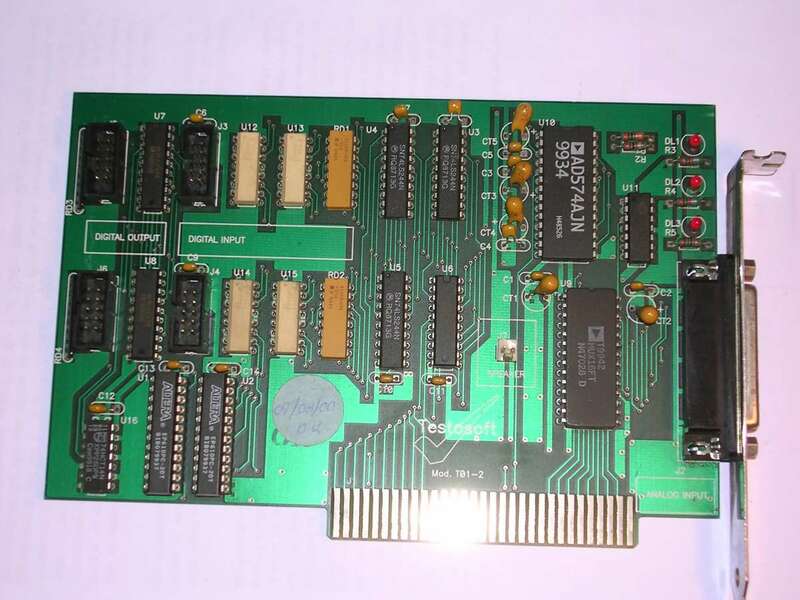 Here we have a 16-channel analog de/multiplexer, AD574 12-bit A/D converter, 16 (?) 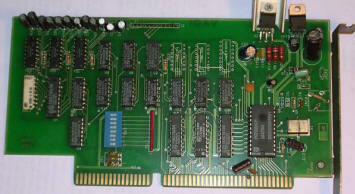 digital input and 16 output pins. The DB25 connector is has "ANALOG IN" label. 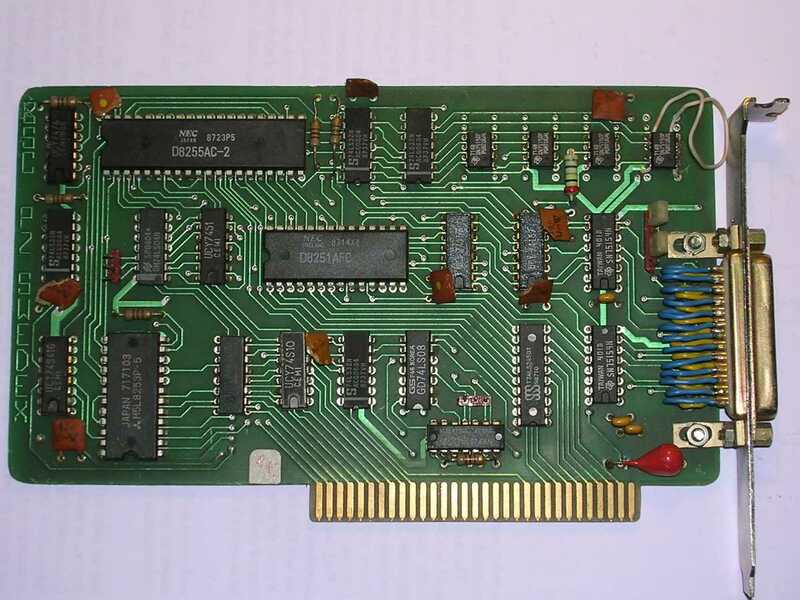 Probably digital I/O pins were used to control some instruments (although the bracket to which they were connected is not present) and analog inputs were used for measurement. An interesting thing is a "SPEAKER" connector in the middle of PCB, connected to one of output pins. The company YDP is well known. 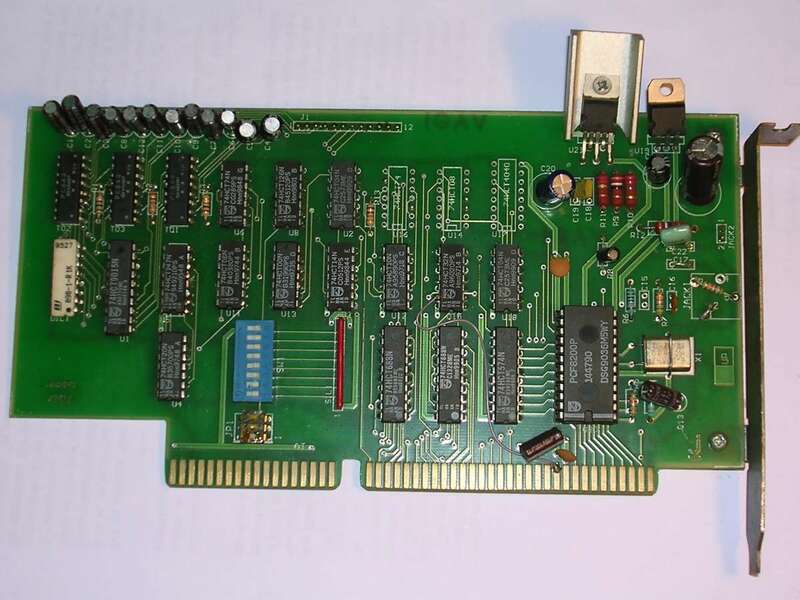 In 1990 Young Digital Poland has been registered as a company and they started to make software and hardware for measurement systems, mostly acoustic. In mid-1990s they entered a developing multimedia market with encyclopedias, dictionaries and educational software on CD-ROMs. In 2000s they made a multimedia school books on CDs, which was even an export product. YDP has been renamed to Young Digital Planet then and in 2010 was acquired by German media group. This board is probably from such acoustic measurement systems. We have a MDAC565 12-bit digital-to-analog converter and ADS574 analog-to-digital converter, with accompanying electronics. Most digital I/O pins from a 15-pin male connector on the bracket end in unpopulated chip holes, only analog output and input is connected with power. 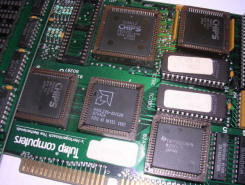 The chips date codes are varied, usually situated in second half of 1990s. 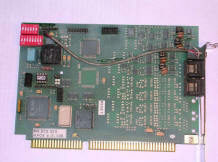 This board was used in computers with BIOS hard disk limitations. If BIOS doesn't allow to address more cylinders, heads or sectors/track than some limit, this board can override it. It auto-detects the proper values and makes controller use them. The only problem is that in some cases the problem is not in BIOS, but in controller itself. 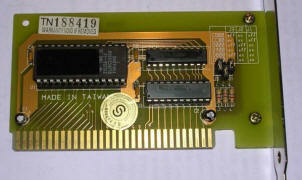 The only circuit is an EPROM there, containing the firmware and logic to put it under right address in system's memory map. 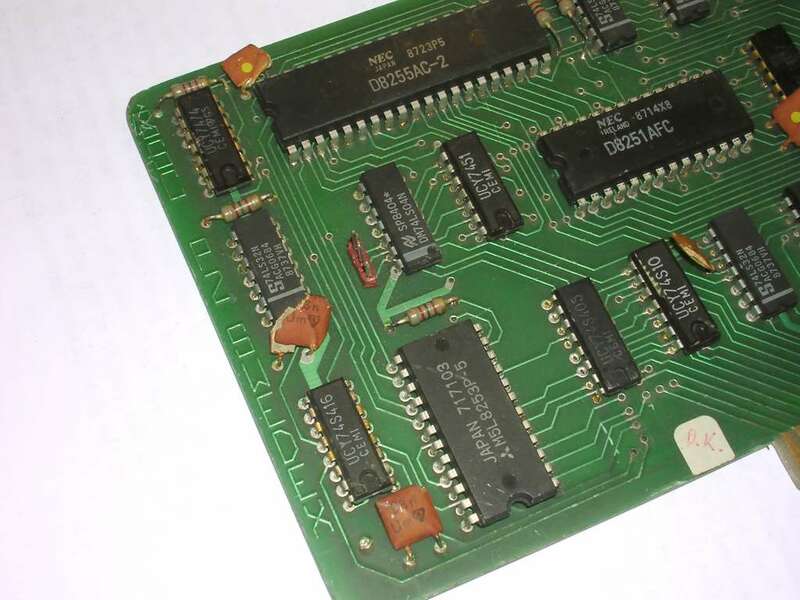 This is a complete 286 computer on a 16-bit ISA board. 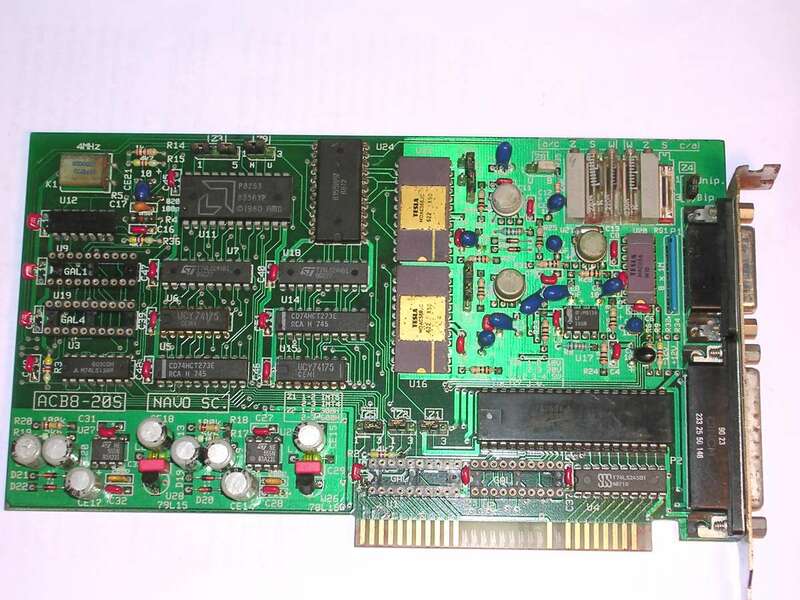 It has 10MHz CPU, 640kB of RAM with possible expansion to even 2.6MB (with 18 21010 chips), keyboard controller (any AT keyboard fits there) and even NPU expansion socket. 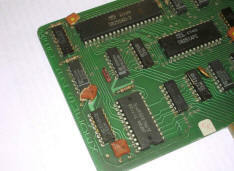 I don't know in what type of computer it was used, but it has a very primitive BIOS in two EPROM chips. I found one configuration to power up: In a blank ISA backplane (3 connectors), with large spaces between them (this is important), with C/M jumpers in C position, the jumper under it in the same position, the jumper under not set at all or in the same. This will boot and probably ask about running DIAGNOSTICS. The DIAGNOSTICS is a program on a floppy disk which acts as BIOS setup. One more time: This is really sensitive about this system bus, it was probably some way terminated on the original backplane. I tried another risers with denser slots, more slots, slots with both sides, it doesn't even beep there. To power it up, just 5V is needed but other boards may require all ISA voltages. Now the disk. 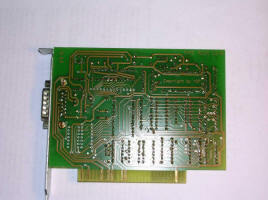 Use a 16-bit ISA controller board with COM/LPT and FDD. 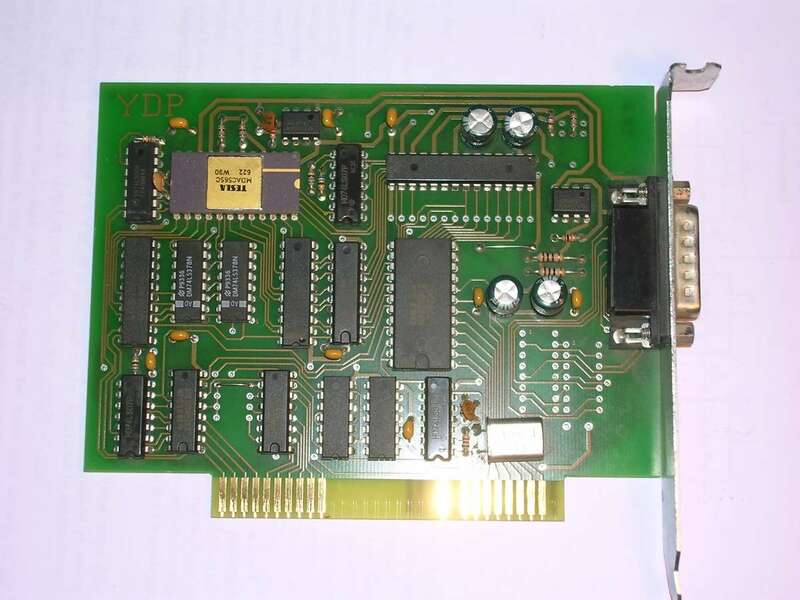 After connecting an FDD it won't boot from anything except a DOS 720K-formatted double-density disk, so it's needed to format at least one - for diagnostics. Here is a set of Tulip disks in form of files: DIAG121N.EXE, DIAG207E.EXE and DIAG333I.EXE, as well as disk images made from them. We need DIAG207E to detect this machine and introduce settings. The PC speaker is connected by two adjacent pins, not 4 as in most AT PCs. There is a battery connector nearby, used to keep BIOS settings and RTC running. The hard disk must be one from the pre-defined lists. Contrary to easly Award's BIOSes, it seeks to the last cylinder on start-up so if you select drive with the same amount of heads and sectors, but larger of cylinders your drive will hang. However, I haven't made it to run any drive because it didn't wrote anything - the disks were detected and read OK, while writing always ended like it was writing, but not. It's not controller's fault, but probably some incompatibility between standard controllers and BIOS.